America was built by hard work. And we celebrate and pay tribute to all hardworking Americans every Labor Day. This holiday gives us the opportunity to respect, appreciate and acknowledge the vital contribution of American workers that have made our country strong and prosperous. But today’s workers face a lot of challenges. Too many families are struggling just to get by – notably the tens of millions of American workers employed by small businesses. When we should be finding solutions that bring down health care costs, the health insurance tax is driving costs even higher – and reducing coverage. That’s what happens when you tax health insurance. Intended as a way to pay for the Affordable Care Act, the Health Insurance Tax (HIT) falls solely on small businesses. 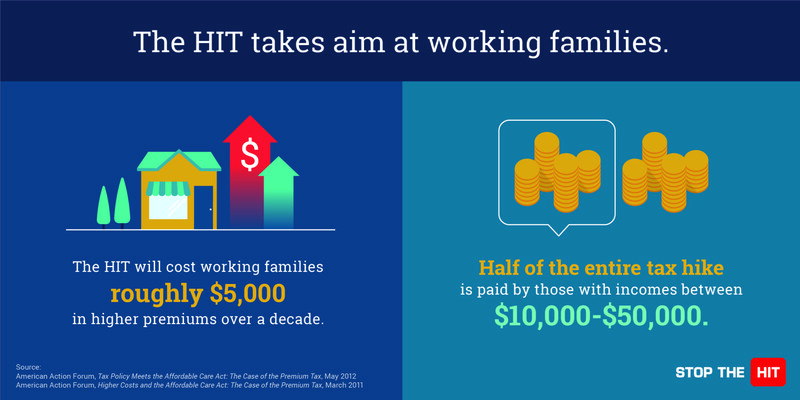 That leads to higher costs for hardworking families – particularly those who really struggle to get by. More than half of the entire tax is paid by those with incomes between $10,000 – $50,000. And estimates show the tax will cost small businesses $500 per employee each year, and working families will face a HIT of $5,000 in higher premiums over a decade. We can do better. Last December, Members of Congress on both sides of the aisle stood on the side of the American worker by voting to suspend the tax on insurance for one year. This was a welcome and needed first step. However, we need permanent solutions – not just temporary relief – as the health insurance tax not only returns in 2018 but ratchets even higher. Supporting and celebrating hardworking Americans shouldn’t happen just on Labor Day – it’s about fighting for them every day. Let’s make sure that Congress honors American workers by protecting them – and their health insurance – from the health insurance tax.